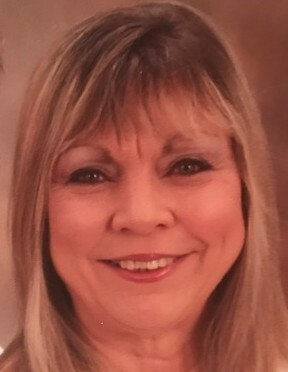 Elaine Kimberly, 67, of Metamora, formerly of Spring Branch, TX, passed away at 4:15am Monday, May 21, 2018 at her home. She was born October 15, 1950 in Ft. Worth, TX to Arthur R. and Christine Kubick Cunningham. On December 17, 1976, she married Gilead Kimberly in Dallax, TX. Surviving is her husband, Gilead of Metamora; daughters, Teresa (Stephen) Chadwick of Ft. Worth, TX and Stephanie (James) Schunk of Metamora; grandchildren, Joseph, James, Henry, and Elizabeth; aunts and uncles, Maxine Smith and Wayne (Betty) Cunningham; many cousins; and her new kitty. She was preceded in death by her parents; and two children, Marcus and Lisa. Most important to Elaine was her abiding faith in Jesus Christ. She enjoyed shopping, working in her garden, and was an animal lover. She was a member of Christian Union Church in Metamora. A funeral service will be held at 2:00pm Saturday, May 26, 2018 at Christian Union Church in Metamora. Visitation will be two hours prior to the service at the church. Interment will be at Oakwood Cemetery in Metamora. Rev. Gary Salm will officiate. In lieu of flowers, memorial contributions may made to UnityPoint Hospice.